Most residential re-roofing projects involve removing the existing roof and replacing it with a new roof. 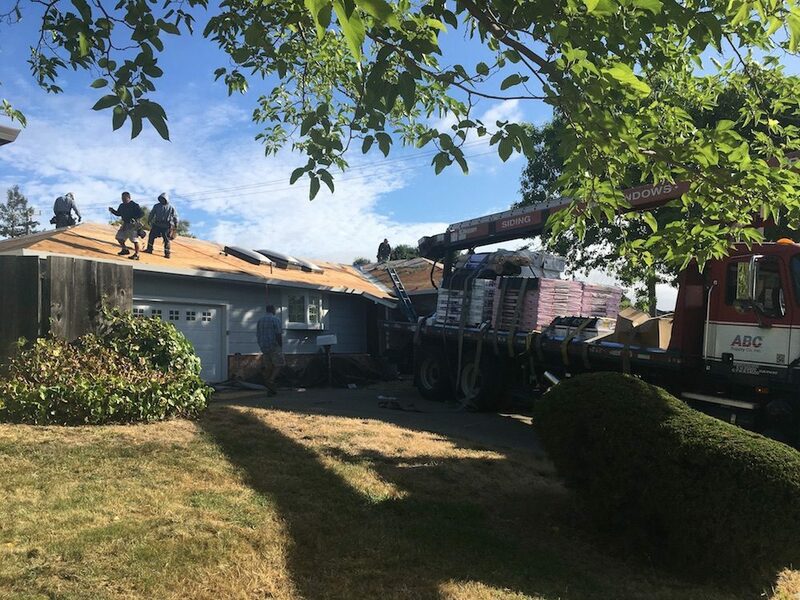 We offer one-day re-roofing services for most homes, unlike other companies that can take days and even weeks to complete a residential roof replacement. Our experienced staff has the skills and the right equipment to get the job done in just one day. This is very convenient for clients, particularly during the rainy season or when weather concerns may keep other roofers off the job. All of our sloped roof installations come with a 10-year warranty, giving you added protection. Most residential re-roofing projects take just one day. While we are heartbroken over the devastation caused by the North Bay Fires, we also know that we will recover. This PDF contains recovery resources, articles on how to start rebuilding, and other helpful information. Click here to download. Thanks for prompt and courteous service – returning phone calls, answering questions, etc. Good customer service does make a difference and got our business for Capstone. Copyright © 2019 Capstone Roofing Inc.